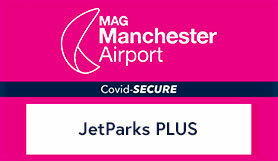 Jet Parks Plus, an official Manchester airport car park, is a budget car park with regular, efficient transfers to all 3 terminals, which are just over a mile away. The car park monitors its CCTV but the footage is not always recorded. If you have any questions about this or the programme in general then please visit www.mantp.co.uk.